Package Units and AHU - High Efficient package units, from 37 to 400 kW cooling capacity. Options include Reversible Heat Pump units, Energy recovery and economy cycle. 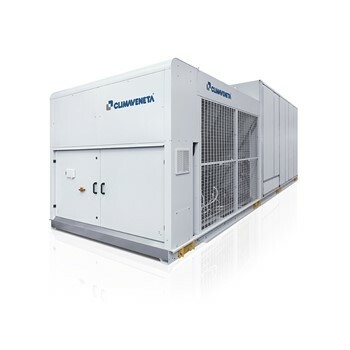 High Efficient package units, from 37 to 400 kW cooling capacity. Options include Reversible Heat Pump units, Energy recovery and economy cycle. Air cooled package units are available in 3 ranges. 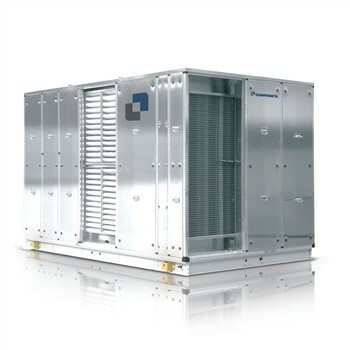 The WORK units are compact rooftop units, with capacities from 37 kW to 198 kW. Options include free cooling with axial low fans or centrifugal fans, high efficiency filters, hot gas post heating and air quality sensors. All units are complete with programmable controllers. 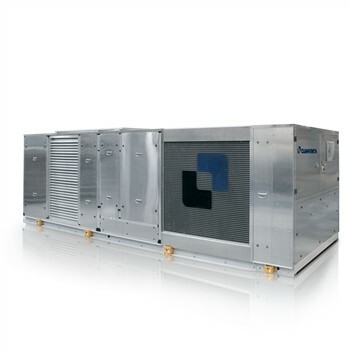 These units are available as cooling only or heatpump. NOTE: WORK, WISDOM and WHISPER units are not manufactured anymore. Refer to the new WSM and WRX units. The use of rooftop air conditioners represents the most economical and versatile solution for air conditioning in large and medium environments for service industry. The RTSK series units ensure great versatility and are suitable for all installation needs. 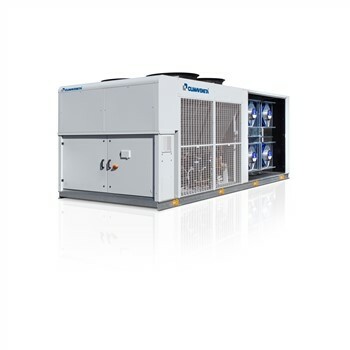 It is available a wide product range, with cooling capacity from 10 kW up to 310 kW, able to satisfy air conditioning requirements of small or very large volumes. The availability of accessories gives the series a great versatility and adaptability to the different requests of the projects.